I still have a lot of DVDs, but just sitting there, not digitized. With the help of Vudu, I can get high-quality digital versions of many DVDs without having to do the work. Walmart-owned allows us to convert our disc to digital using our smartphone. 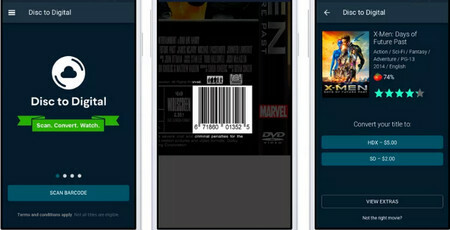 The process of Vudu disk to digital is straightforward, for Vudu DVD to digital, install the mobile app, scan a UPC (universal product code) and you are ready to watch the movie on your device. Next, let's go for the specific process of Vudu disc to digital. WonderFox DVD Ripper Pro has the ability to easily convert DVD discs to digital videos. It can handle a variety of discs, from homemade to commercial, from old damaged to new encrypted by removing current protection on DVDs. 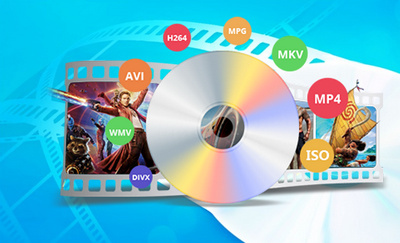 It offers a variety of output options that allow you to convert discs to MP4 / H.264, WMV, MOV, MPG, MKV, AVI, etc. Download it to have a try! Vudu requires permission to your camera and GPS, as well as your billing info must be up-to-date in your profile. Although the app itself is free, it costs $2 for SD, $5 for HDX. 1. Download the Vudu app from your app store. 2. Log in (or register) and grant access to the app. 3. Click "Disc to Digital" and scan UPC for conversion. 4. Enjoy your new digital movie. 1. Access vudu.com/disc from your iPhone browser. 3. Follow the steps on the screen to convert. 1. Download the Vudu To Go app from https://www.vudu.com/content/disc_to_digital.html. 3. Click "Disc to Digital" and scan the disc for conversion. 4. Watch your new digital movie anytime, anywhere. Some movies that Vudu does currently offer won't be supported with the Disc to Digital service, such as some special multi-disc editions, TV shows and multi-movie packages. In this case, it is a very effective way to get digital copies of movies I already own with a correct DVD converter. 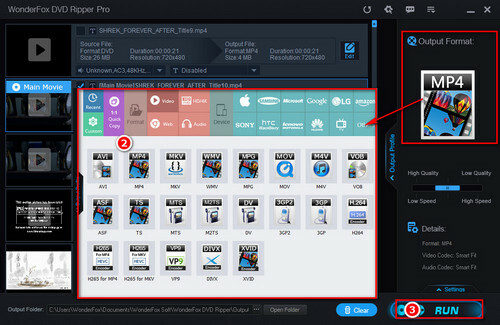 WonderFox DVD Ripper Pro boasts the wide support of discs, including homemade DVDs, old DVDs, latest DVD movies, 99 title DVDs, fitness DVDs, and more. It can remove DVD CSS, region code, RCE, Sony ARccOS, DRM or other encryption technologies to help you convert encrypted DVDs to digital video without any difficulty. Free downloadFree download it to get started. Insert DVD into DVD drive. Free downloadFree download, install and launch WonderFox DVD Ripper Pro on your PC. Click "DVD Disc" button and choose the DVD source. Click OK. DVD info including all DVD titles will be loaded in a couple of seconds. The main title is automatically detected and selected for later conversion. Now, click on the Output Format section on the right side of the interface. 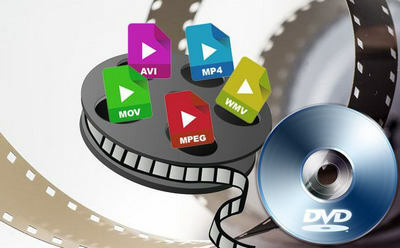 Choose any video format you like to convert, such as DVD to MOV, DVD to MPG, etc. Click "three points" button to set a new destination folder if necessary. At last, click "RUN" button to start ripping DVD to digital. WonderFox only advocates ripping DVDs for personal use and suggests referring to the DVD copyright laws in your countries before doing so. With hardware acceleration enabled, you’ll be amazed how quickly your disc is converted. It's really easy for Vudu digital copy or using WonderFox DVD Ripper Pro to convert DVD disc to digital! Finally, do you have any questions about how to digitize your physical movies using Vudu Disc to Digital service? Feel free to contact us and we'll help you out! Convert DVD Movies to MP4, AVI, MKV, etc. Rip and convert any DVD to MP4, AVI, WMV, MOV, iPhone, iPad, Android, Xbox, etc., with crisp videos. It has access to all DVD copy protection, helping you easily copy any protected DVD movie. Just have a try!